Within the context of enhancing consumer protection in Palestine, GIZ advises the PMA in the design of a regulation that promotes transparent pricing. In particular, following the example of many other countries, the authority plans to require all financial institutions to indicate a standardized cost parameter, namely the Annual Percentage Rate (APR), which would allow consumers to easily compare the prices of all the different types of financial products. The project draws on the expertise of the programme’s external consultant Charles (“Chuck”) Waterfield, who wrote an APR calculation software that is tailored to the characteristics of the Palestinian sector and supposed to be used by all lenders. In the following interview with GIZ, he sheds light on Palestine’s status of consumer protection and demonstrates the rationale for his mission. The interview was held by Thomas Rahn on May 15th2016 in Ramallah. Mr. Waterfield is an accomplished and charismatic figure in the field of microfinance, having more than 30 years of experience in the sector. He developed a variety of financial planning tools, trained more than 3,000 microfinance professionals, and has published several papers, such as the CGAP Handbook on Management Information Systems. In 2008, he founded the platform MicroFinance Transparency, an important milestone on his personal mission to help consumers all around the world to make informed decisions. GIZ: Chuck Waterfield today is with me in Ramallah. We’re glad to have you here again. After your two stays, how do you rate the current framework for consumer protection in Palestine? Chuck: I’ve been quite impressed and pleased when the invitation came, specifically for doing pricing, and I find that the PMA already has in place a broad variety of policies that are designed in a way to encourage the market to work more like a market, to not tie the hands of the lenders but to provide a kind of guidance that truly does consumer protection in a way as close to a free market as possible. It was found that they already have, for example, policies in place that allow fees but limit how high those fees can be. There are rules in place about whether insurance is bundled with loans and if so how and who pays for it. There are nicely designed locations where consumers can go and get more information about their rights and submit complaints if they feel they’ve been wronged in any way. [Editor’s note: These locations are the so-called Consumer Relations Halls, which are managed by the PMA]. The staff at those centres is attentive and knowledgeable. That is a good range of policies that are already in place. In addition, everything I have seen, including the work that I was doing, is done in careful consultation. It is not just dumped on the banks. 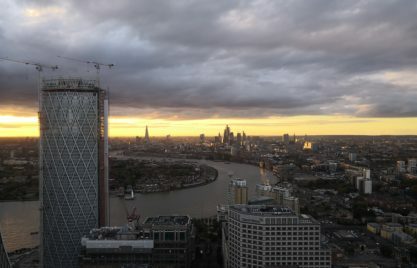 The banks are involved in the process, not to the point that they can manipulate or control the process, but they are kept informed of the policies as they develop. They are allowed to give feedback, and that feedback is considered, but the decisions are solely in the hands of the PMA. That is a wise way to do this. Third, these aren’t just laws on the books. These are laws that the PMA very actively monitors. There are systems in place that allow the PMA’s relatively small staff to monitor and to catch any flagrant violations. One other aspect is that the consumer protection efforts are made from within the regulator instead of a separate body that doesn’t have any teeth. When they picked up the phone and we asked for documents, the banks said: “Come in!” That took me a lot of effort and persuasion in other countries. Every bank that we wanted to had those documents all out, photocopied, in a folder, handed them right over. So, a department within the broader regulator that has a lot of power for the obvious reasons here is consumer protection, sort of semi-independent but still carries the weight that the rest of the regulator has. In contrast, when it’s a watchdog agency off the site, it basically would spend half or more of its time just trying to find out what’s happening inside the banks. However, in the case of Palestine, the banks are very cooperative, no secrets, they know the consequences of not being forthcoming. You said the framework is very market-based. How would you judge: cannot consumer protection and transparency also be a factor that banks and other financial institutions have an interest in themselves to compete in? Do you think a consumer protection regime which is organized by the sector, by an association or voluntary code of conduct, is working as well? It’s more market-based, isn’t it? Do we really need regulation? Well, I’ve seen a sad number of self-regulatory bodies that aren’t part of the government at all, where literally the lenders themselves are saying: “Trust us! We watch ourselves!” I would say, pretty much in every of the dozen countries I’ve seen, that when you fear it might happen, it really does happen. If it doesn’t happen this year, it will happen next year or the year after. The self-regulators are on the side of their own self-interest rather than looking for the proper balance. On the other hand, a completely independent watchdog agency is entirely advocating the rights of the consumer. It doesn’t always happen, but the regulator can be more the wise judge and look at the balance between the two. In some countries, something looks like consumer protection regulation but they either not enforce it or intentionally leave loopholes that favour the interest of the banks, trying not to overly prescribe the market. For example, there aren’t any interest rate controls or interest rate caps. I should say: there aren’t any pricecaps. That’s another trick. Some of the countries say: “We set an interest rate cap but we’ll let you sneak in in some other way”, so that the true price still stays high and the profits keep rolling in. Take the pricing with the fees here as an example. Some fees are reasonable as long as they don’t get too high. In Palestine, the limit is 1% per year. So, if it’s a 4-year loan, you can charge 4% fee. These are very reasonable fees; they still keep the interest rate reflecting a fairly large percentage of the total price. When consumers ask for the price, they get told the interest rate. This big piece is what consumers hear, and those smaller pieces, like the fees, take some digging to get that information and then take some skill on the part of the client to actually interpret it. That’s where transparent pricing comes in: we do that work for them. The PMA, knowing that, has asked for this project where we can help to apply those principles so that when the consumers ask for the price of a loan, they get a very consistent answer that’s shaped by an academically rigorous formula. Being the regulator puts them with the potential to have a foot in both worlds: a foot in the understanding of the business world, but also, since it is a government body and the government represents the people, a foot in the side of understanding the rights and the needs of the citizens. Let us assume that this project on APR regulation would not happen, that is, the sector continues as it does. What would be the core developments of the Palestinian financial market in the absence of this project? That’s a very good question: how big is the impact? How necessary is this particular piece? The Palestinian market is far from in a shambles in pricing. The prices, for the most part, are pretty transparent. There are three areas that are different, and the APR, having this uniform consistent definition, will help to smooth those out. First of all, there is a specific kind of market pressure. Almost all of the non-Islamic commercial banks do a declining balance interest rate, which is textbook interest, except for the car loans. Some of the car salesmen, and some of the lenders, started to do what is called “flat interest” which makes it look about half the price of what it really is. Therefore, even if you are a lender that’s not really motivated to do that, a problem arises if everyone else is saying: “Our car loans are 5 percent, and your car loan is 8 percent (declining)” – 8 percent declining is cheaper than 5 percent flat, but your clients don’t know that. And so you get sucked into saying: “Alright, well, now we have to, so let’s do 4 ½ percent flat”, and the consumers can see 4 ½ is cheaper than 5. Nevertheless, this is a pretty healthy market right now where the interest rate is in most part very close to the real price. However, that could change. Literally, that could change in a year. In a year, if you didn’t have transparent pricing, you can come back and find everything in change. In fact, that happened, for example, in Bangladesh which was one of the big microfinance countries. Back in 1996, everyone was doing declining balance interest, and, you know, not making much profit. And they get advised by multinational [laughs] agencies, development organizations: “All you have to do is do what they do in Latin America: charge flat interest. You don’t have to raise your interest rate, you just have to change the way it’s calculated.” And, three large ones did that and their income almost doubled. Within 12 months, every lender in Bangladesh had switched over to flat interest. That could happen here in Palestine. I don’t think it would, but it’s certainly conceivable. It just needs one bold lender to break through the “We don’t do that here. Well, we could, there’s no law against it. Maybe we should. If we did, what would happen? Oh, look at those benefits. Let’s go for it!” And, as soon as one does, then shortly thereafter a couple of more will do, and then the others really don’t have much choice; it’s either change or die. Second area of ambiguity: a lot of the microfinance loans are much higher priced than the commercial banks, and the pricing is messier in that it masks how high those prices are. The typical bank loans here are in the 8 to 12 percent range, and the microfinance loans’ goes high as up in the 20s and I believe even up in the 30s. That’s two to three times higher. In microfinance that’s sometimes justified. But what I find not justifiable is that the price is hidden. If your price really needs to be two times higher or even three times higher: be honest! And the consumer knows that they are paying two to three times as much for that particular loan. For reasons of logic, of economics, a bank will not give them a loan at 10 percent. The microfinance institutions can’t give it at 10 percent either but they might be able to do it at 20 or 30. But again: be honest about the price! 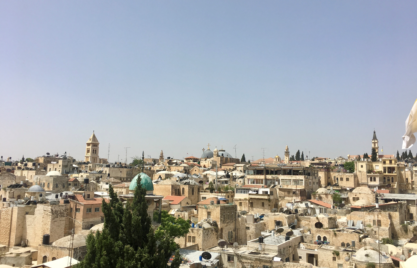 The third area of challenge here in Palestine is a blend of commercial lending and Islamic finance. When consumers go to some of the non-Islamic finance, they get quoted an interest rate. And again, you know: 8 percent declining, 1 percent fee. They may go to an Islamic bank and get quoted an annual fee of 5 percent. What’s cheaper? 8 percent, 1 percent, or 5 percent? Who knows? In fact, nobody can really know until you run the numbers. This project now applies at the same mathematical rigor to the commercial non-Islamic financers, to the Islamic banks, and to the microfinance companies. All of them have to use the same approach which means that consumers can compare apples and apples. Transparent pricing leads to a clear and honest information, and markets literally cannot work properly if nobody knows the price. Funny enough, I was approached during the break of today’s workshop. One of the banks’ representatives told me: if we really do this – the APR, full disclosure, transparent prices for all the banks and institutions –, that will harm the business, and people will ultimately refrain from taking microfinance loans because they are more expensive. In particular, this might be true for Islamic institutions if they appear more expensive. Don’t you think the new regulation could also cause some disturbance in the market? Well, I hope it does [laughs]. Here’s the problem: this is not a finance issue, this is certainly not a microfinance issue. This is a business issue. My cell phone company in the United States lies about their price. Airlines [laughs] make it really hard to understand what price you really pay. In business school, you are taught how to make your product look more attractive, have more benefits than it has, and look cheaper than it really is. And that’s how you persuade consumers to buy more. Do we really need more stuff in our house? Do we really need a loan? We’ve seen time and again the dangers of too much debt. If consumers understand more the true costs of a loan, and I’m not just talking about buying from institution A vs. B. I am talking about: “Should I be borrowing?” or: “Wow, is that what it really costs!? How about if I save my money for six months and pay cash?” Getting a better understanding of the real cost in the hands of the consumers has the potential to make wiser decisions. If the price is perceived as higher, demand will drop. Some businesses might see that as a negative, but when the quality of the loans going out from that bank is better, when they have less problems of trying to collect loans from people that shouldn’t have been borrowing in the first place, banks could and should be in favour of smart borrowing instead of poor and hasty decisions on the part of consumers. What I was asking myself is also: if I am an Islamic bank, for instance, and then a new regulation tells me I have to disclose an annual percentage rate, doesn’t that sound to my clients like an effective interest rate? I looked at that very carefully. We all knew that this could be a potential issue. 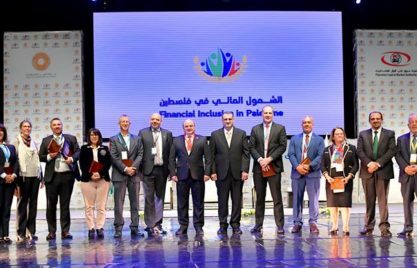 The way Islamic finance works here in Palestine is: it’s always quoted as a percent. They are all saying: “We’re charging a 5 percent fee.” The clients are already hearing a number with a percent sign. The fee is based as a percentage of the amount, much the same way as the interest rate is based as a percentage of the amount. I had multiple meetings inside the banks, and had these two significant sessions, and there were no pushbacks, no concerns at all about the language. I share your impression. Now, you’ve worked all around the world, but only recently you came to the MENA region, to Palestine. What specific features of consumer protection do you see in the Arab world? In the MENA culture, and in the MENA-based institutions, there is an expectation of reasonably ethical behaviour. And that goes beyond just what you call interest or usury or profit. It’s about being ethical. Similar to India, where I say: “Gandhi lives on”, there’s still an expectation of ethical behaviour and there is some embarrassment, guilt, if you are caught doing something that’s not up to those levels. On the whole, when you come in and say: “Well, we need to put in some safeguards to ensure that consumers are protected by all the lenders”, in this country, there is more of a: “Yes, that makes sense.” instead of: “Oh, we don’t need it. Trust us!” This condition is the best to put safeguards into place. Because, again, things could change in a year. Despite the sort of ethical expectations, things get messy in India every few years. I have just one final question left for you: you are leaving Palestine tomorrow. What is your key takeaway from your stay? This is one of those work assignments I got involved in where I am comfortable that it will result in something useful. It’s the cooperation level, not only the PMA but the banks themselves. They understand this is important. The proposals I made didn’t get watered down, like: “Let’s just leave this one little loophole in there”, which happens and has happened in way too many countries. In Palestine, we now have a good rigorous definition that looks like it’s going to be applied consistently and widely, thanks to the influence of the PMA. I haven’t heard anything to the contrary. I expect the banks to cooperate willingly instead of reluctantly or look for those loopholes that sometimes get accidently left in regulations like this. I know all the loopholes. I know what loopholes unintentionally or intentionally got left in dozens of other countries, and I’ve made it very clear how Palestine can avoid that from happening here. That was Chuck Waterfield, former CEO of MFTransparency and consultant for the regional GIZ microfinance programme. Thank you very much, Chuck! – Chuck: A pleasure, thank you. Disclaimer: The views and opinions expressed by the interviewee do not necessarily reflect the position of the GIZ.